Welcome to the sixty-ninth week of my PokÃ©mon feature here on Game Podunk! In case you missed the last one, check it out! Stay tuned for future entries coming every Friday. shown for PokÃ©mon Sun & Moon this time yesterday morning was over before two minutes went by. But it gave us a closer look at the Alola region, key characters and PokÃ©mon, and something to... liven up the PokÃ©dex, unlike ever before. 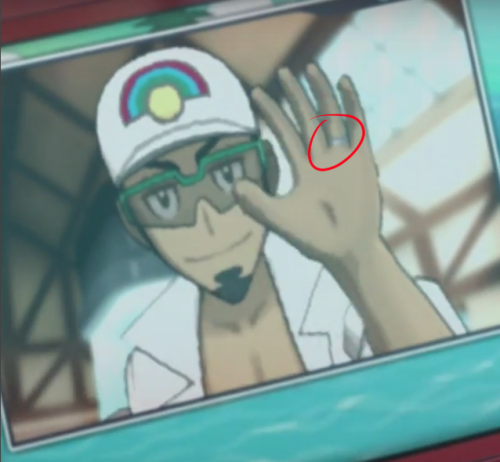 It may have been a tiny trailer, but -- what little information we could gather should fuel excitement and speculation for the whole summer, since PokÃ©mon won“t be at E3. ...Oh, wait. As it turns out, shortly after revealing a new trailer, Nintendo and The PokÃ©mon Company announced that both Sun & Moon and PokÃ©mon GO would get special segments devoted to them during Day 2 of Nintendo Treehouse Live @ E3. I still can“t figure out why they didn“t tell us about this from the get-go, but I suppose now we know why Mr. Masuda will be at E3, and fans can reasonably assume that PokÃ©mon could share some of the spotlight with a very Zelda-focused Nintendo booth in Los Angeles. PokÃ©mon GO“s Q&A will take place at 10 AM PT on June 15th. And the â€œE3 2016 PokÃ©mon Special will happen at 7 AM PT on June 16th. Since the latter takes place before the show floor opens that day... I wonder what kind of presentation we can expect? If you“re reading this on the day it“s published, the E3 excitement begins in just ten days -- technically eleven if we“re considering when the show floor opens. Crazy; I guess PokÃ©mon is alive and well during E3 this year. But hey! Alola is confirmed to be a region consisting of multiple islands, like many have theorized. It“s kind of crazy how detailed this artwork is. You can see where various roads on each island lead, as well as distinct environments, cities and facilities that each one has. While the â€œtropicalâ€ theme of Alola is most definitely consistent, I feel like the whole region hides plenty of surprises. One thing I mentioned last time that seems even more evident now: I think each island is a little too far away to allow for surfing between them. I feel like boats, and then Soaring (like the system introduced in Omega Ruby & Alpha Sapphire) will be how players can access each island. showcasing Hau, your new friend in Alola? The trailer specifically skips a battle transition like you“d normally see in the games, fading from one screen to the next -- but still highlights Hau (while he“s very close to the screen) -- to introduce the â€œTrainer wants to fight!â€ text as it moves to the battle unfolding. Wild PokÃ©mon battles may be the same as always, with a screen-fade in tall grass. But I still suspect the way you face trainers could be altered in Generation 7, and moving forward.
. Not really sure what makes her â€œmysteriousâ€ just yet, but I suppose we“ll see! Okay. One last bit -- one that I might devote an entire piece to, once we have more information. This game“s PokÃ©dex is literally alive -- it“s a Rotom. It talks, and is quote, â€œ...a whole new way for people and PokÃ©mon to communicate, woo!â€ WHAT. So you“re telling me -- for the first time in series history -- players could have a PokÃ©mon travelling with them that has the ability to speak, like Meowth from Team Rocket in the anime? Do we have a PokÃ©mon translator now? IS THIS A NEW FORM OF ROTOM THAT CAN FIGHT IN BATTLE?! ...Okay, I“m way too excited about this & have way too many questions. 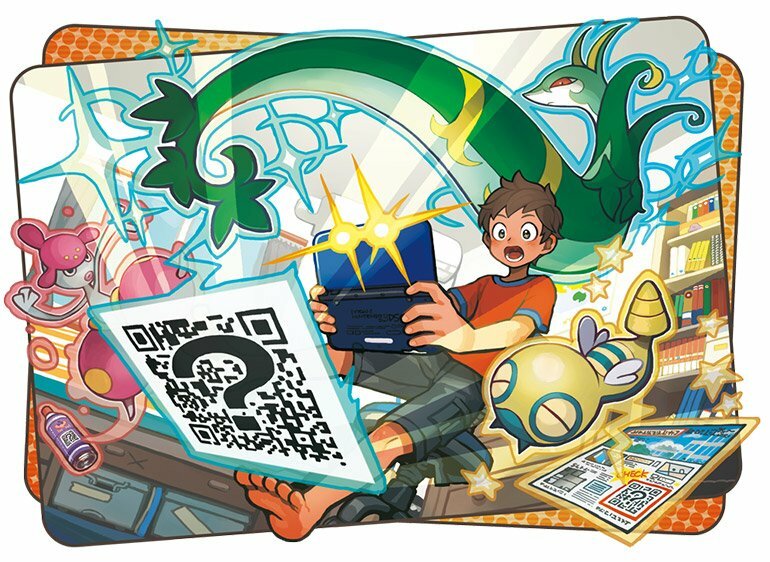 And did I mention that you can add pages to your PokÃ©dex by using PokÃ©mon QR codes on real-life products, as seen in this artwork? What the heck could this be pointing towards? I have a feeling the brand is about to expand in previously unprecedented ways -- like amiibo, Heaven help me. The Japanese trailer showed off bits that the rest of the world didn“t see -- like what“s happening on the bottom screen. It“s definitely a map of the area where you“re standing, but ... those symbols fill my head with more questions. Is the DexNav indeed returning? Is this just a tiny piece of the bottom screen, or what...um, Rotom-Dex... is capable of? I guess we“ll know even more information in the weeks ahead! I didn“t even talk about Solgaleo and Lunala. They“ve got new typing combinations, new moves, and new abilities. How do we all feel about the new slew of information? How do you feel about Nintendo“s expanded E3 plans that came after the trailer was shown? How unreasonably excited are you that the PokÃ©dex is ALIVE?